A unclad photo + video of rapper/Love & Hip Hop star, Safaree Samuels broke the internet yesterday night and left quite a lot of ladies in shock. 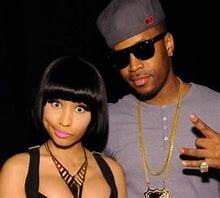 The ex-boyfriend of Nicki Minaj appears to be heavily endowed and he has not yet blamed anyone for the leak. See the censored pic below.